Need help buying a smartphone or a TV? Looking for a detailed review of the latest laptops in town? Want to keep abreast with what's happening in the technology world? GadgetsNow is the one answer to all your gizmo questions. Along with all that, GadgetsNow also lets you shop for the hottest smartphones in the market, while Zingoy lets you save some money on them. 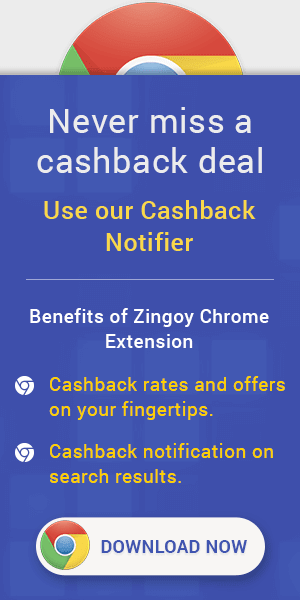 So, shop at GadgetsNow through Zingoy, and you will earn some great cashback on your purchases. You can also create your Zingoy link for this shop, get your friends and family to shop using your link and earn some more cashback. Cashback will be tracked only through desktop/mobile site. Cashback will be tracked at lower amounts and will be adjusted during validations. Cashback will not be applicable on bulk orders. Earnings from Gadgetsnow can be redeemed as vouchers or in Bank account.